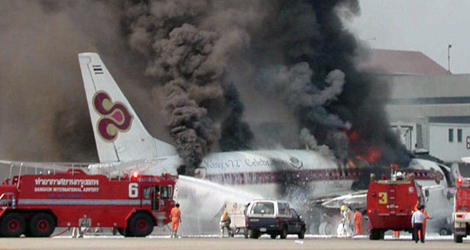 Thai Airways flight TG114 exploded about 14:48 while parked at gate 62 of the Bangkok International Airport, Thailand. Daylight visual meteorological conditions prevailed at the time. Thai Airways flight TG114 was to be a domestic passenger flight from Bangkok to Chiang Mai, Thailand, and was scheduled to depart about 15:15. Thai Airways flight TG114 was to be the fifth flight of the day; the previous flight landed about 14:14. Immediately after the explosion, witnesses reported smoke in the center cabin and a fire underneath the Center Wing Tank (CWT) area. Photographs taken shortly after the explosion show a large fire beneath the airplane CWT and black and tan smoke coming from the left side forward and aft passenger doors . Approximately 18 minutes after the initial explosion, a second explosion occurred in the right wing fuel tank of Thai Airways flight TG114. 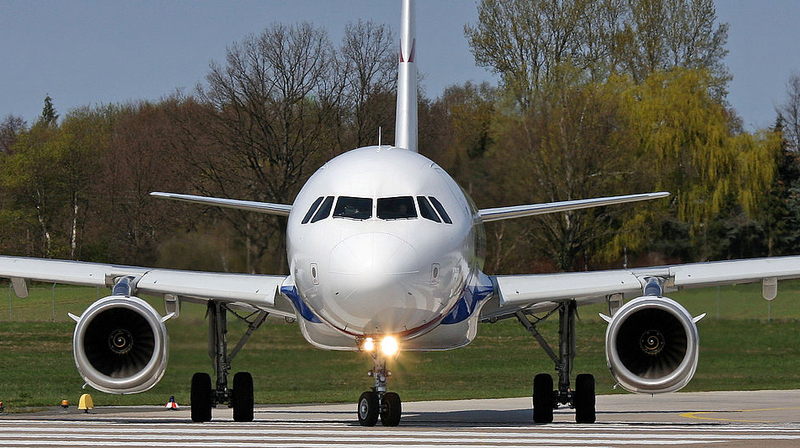 The accident airplane’s Auxiliary Power Unit (APU) was running continuously during ground operations to power the air conditioning system and to provide electrical power for the airplane. All ground operations were routine except that both CWT pump switches were found in the “ON” position. The left and right wing fuel tanks were refueled with approximately 5,440 kilograms (kg) of fuel, resulting in a total fuel quantity of 8,580 kg onboard the airplane at the time of the accident. No fuel was added to the center wing tank, and only residual fuel remained. RFFD response was adequate and prevented the fire that followed the explosion from spreading to the terminal and adjacent airplanes. The injures sustained by the fatally injured cabin crew member as a result of the initial explosion prevented him from evacuating the airplane. The estimated residual fuel level in the center wing fuel tank was about 80 kg when the explosion occurred. 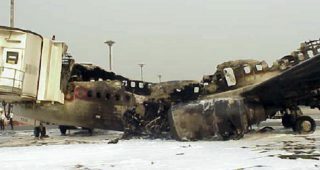 At the time of the accident, the outside air temperature was 36 C° (96.8 F°), excluding the radiant heat from the tarmac. The operation of the air conditioning packs increased the temperature of the fuel/air vapor in the ullage of the center wing fuel tank while the aircraft was serviced at gate. The fuel/air vapor in the ullage of the center wing fuel tank was flammable at the time of the explosion. Deformation of the surfaces of the center wing fuel tank structure away from the center indicates that an overpressure event occurred. The CVR sound spectrum of the explosion was similar to other center wing fuel tank explosions (for example, the TWA flight TWA800 accident , which occurred 17 July 1996, and the accident involving a Philippine Airlines Boeing 737, which occurred 11 May 1990). No evidence was found to indicate that the center wing fuel tank explosion was initiated by a high-energy explosive device. The left and right center wing tank fuel pumps were operating at the time of the explosion as their switches were found in the “ON” position and at least the left pump was not submerged in fuel. 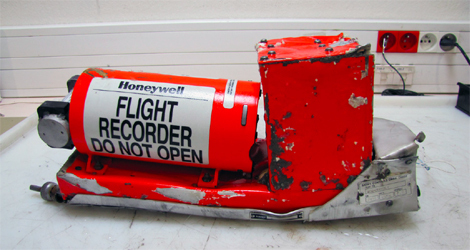 It is very unlikely that the flammable fuel/air mixture in the center wing fuel tank was ignited by the center wing fuel tank float switch, electromagnetic energy fromthe nearby airport radar transmitter, or electrostatic discharge energy from the vent valve. A high voltage transfer to the FQIS could not definitively be ruled out as a potential ignition source. 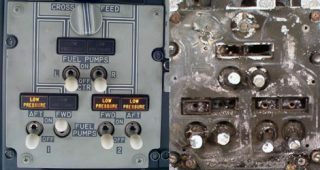 The left and right center wing tank fuel pumps had ingested metallic debris at some point while operating. The scoring signatures and metallic debris found in the left center wing tank pump indicates that debris was held against the spinning impeller for an extended period and was also trapped at the periphery of the impeller. The ability of ignition to come from striking of even non-ferrous metals was documented by the U.S. Naval Ordnance Laboratory in 1957. A sparking event caused by trapped debris in the “dry running” left center wing tank fuel pump is a potential ignition source of the flammable fuel/air vapor. The AAIC determines that the probable cause of this accident was an explosion of the CWT resulting from ignition of the flammable fuel/air mixture in the tank. The source of ignition energy for the explosion could not be determined with certainty, but the most likely source was an explosion originating at the CWT pump as a result of running the pump in the presence of metal shavings and a fuel/air mixture.